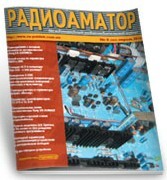 «SERVO Magazine» — популярный американский журнал по электронике и робототехнике. Не секрет, что в последнии годы рынок развитых стран переживает настоящий бум робототехники. Если вы хотите быть на передовой этого движения с паяльником в руках и компилятором C — лучшим помощником для вас станет журнал SERVO Magazine. 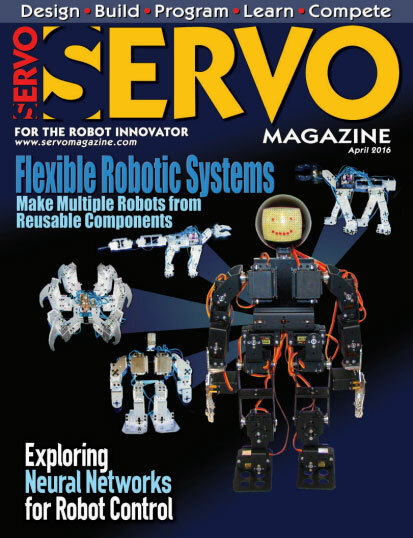 SERVO Magazine is dedicated to the “Next Generation of Robotics Experimenters”, devoted 100% to robots and robotics. With an all robots — all the time focus, each monthly issue will inspire, educate, and entertain with feature articles, interviews, tutorials, DIY projects, hacks, parts sources and much more. Whether you are building your first line-follower or finishing off the perception layer in a positronic brain, SERVO Magazine delivers the sharp technical tools you need to stay on the cutting edge. Advances in robotics are dynamic and as important as those of computers in the 80s and 90s. Just as with computers, hobbyists are a driving force in their evolution. 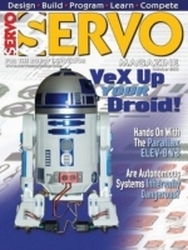 SERVO is there to take you inside this fascinating world of science and technology. 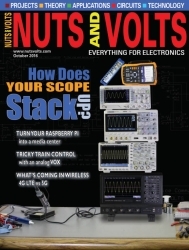 Whether you want a front row seat or to jump in with your soldering iron and C compiler — SERVO Magazine is your ticket in the door. A definite must-read for anyone interested in building or learning about robots!